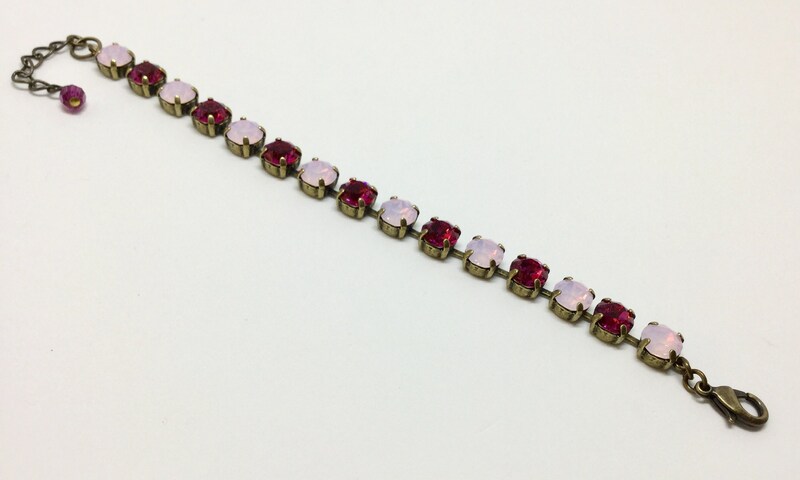 This is a gorgeous bracelet handcrafted by Steve in our own studio. 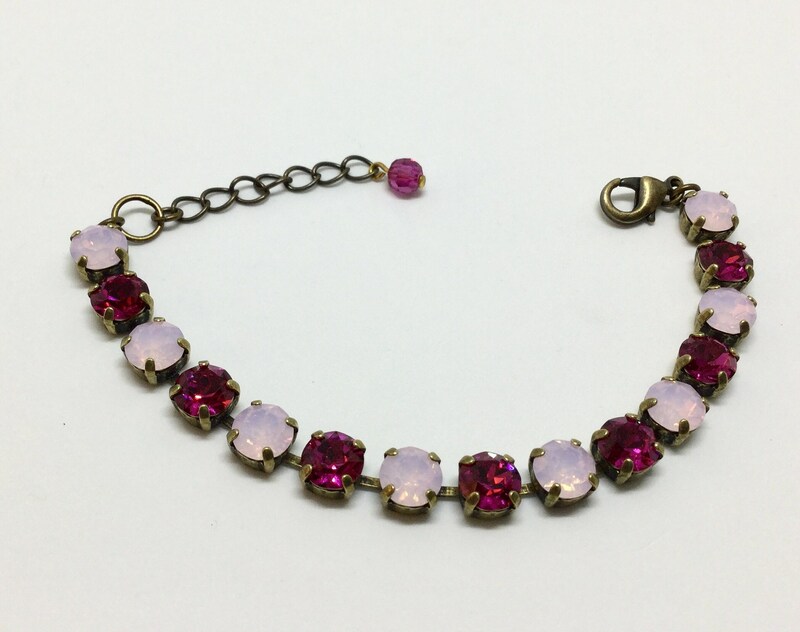 It has alternating 8mm Fuchsia and Rosewater Opal Swarovski crystals. 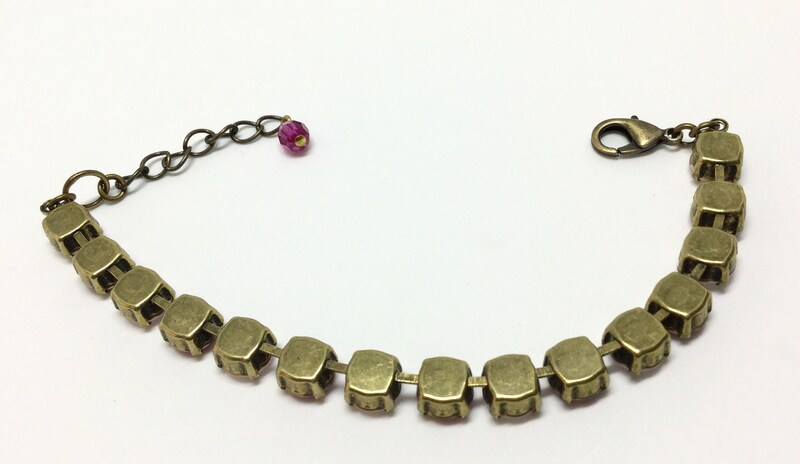 The bracelet is oxidized brass, has fifteen cups, and is 7 1/4” with a 1 3/4” extender. 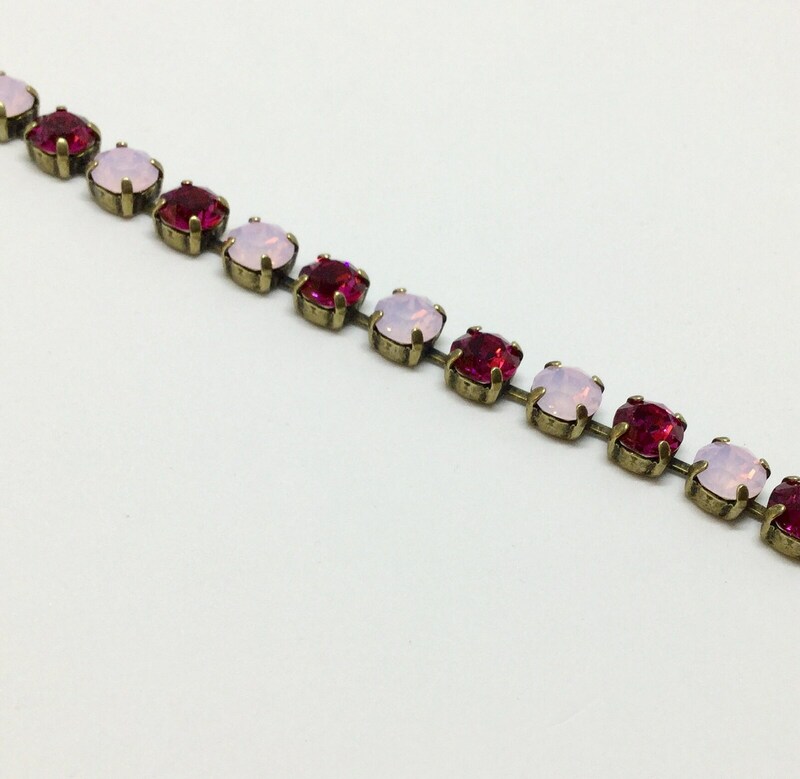 Ending the extender is a pink Swarovski faceted bead accent. A great gift for yourself Sister, or for Mom...a sparkling holiday gift! 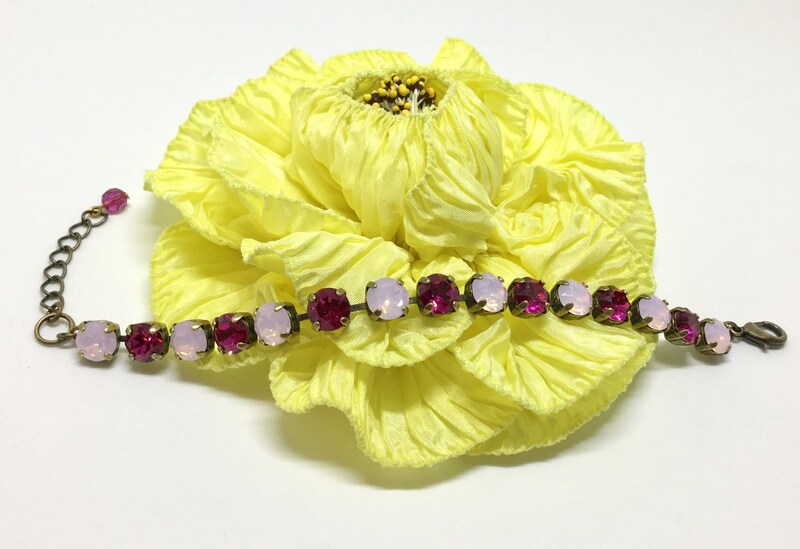 You will look fabulous with this sparkly bracelet on your wrist!